WILL MAKE 2 TO 3 60 LB BAGS OF CEMENT. MINUTE MAN BRAND: 2.5 CU. FT. CAP. 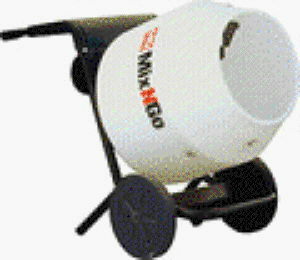 * Please call us with any questions about our mixer cem elec knockdown 2.5 rentals in Duluth MN and Superior WI, serving Proctor MN, Hermantown MN, Northern Minnesota and Northern Wisconsin.